Former Mine Mogul Gets A Year in the Slammer for 29 Deaths; Families Not Happy | Godwin, Morris, Laurenzi & Bloomfield, P.C. CHARLESTON, W.Va. -- Donald L. Blankenship, whose leadership of theMassey Energy Company catapulted him from a working-class West Virginia childhood into a life as one of the wealthiest and most influential men in Appalachia, was sentenced on Wednesday to a year in prison for conspiring to violate federal mine safety standards. 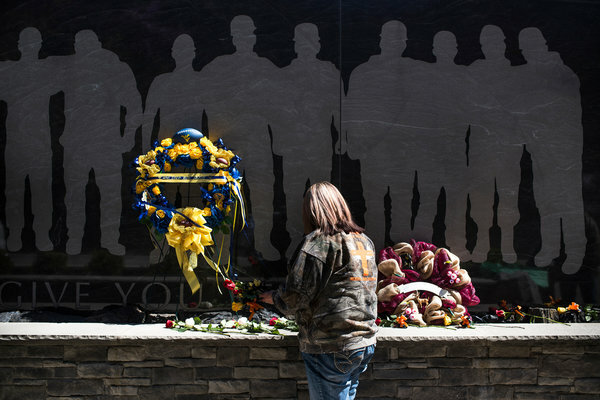 The prison term, the maximum allowed by law, came in Federal District Court here six years and one day after an explosion ripped through Massey's Upper Big Branch mine, killing 29 men. 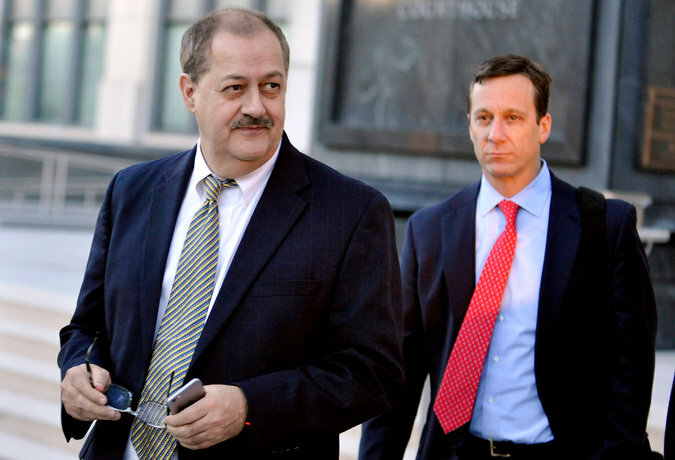 Although Mr. Blankenship was not accused of direct responsibility for the accident, the deadliest in American coal mining in about 40 years, the disaster prompted the inquiry that ultimately led to his conviction. Federal officials have said that last autumn's guilty verdict was the first time such a high-ranking executive had been convicted of a workplace safety violation. "You should be someone that we are able to tout as a West Virginia success story," Judge Irene C. Berger, herself the daughter of a coal miner, said before she described Mr. Blankenship's career, in which he earned tens of millions of dollars and gained remarkable sway over this state's politics and people. But, she said, "Instead of being able to tout you as one of West Virginia's success stories, however, we are here as a result of your part in a dangerous conspiracy." Minutes earlier, standing in the courtroom where jurors heard weeks of evidence before they convicted him of a single misdemeanor, Mr. Blankenship said, "My main point is wanting to express sorrow to the families and everyone for what happened." As he spoke, relatives of dead miners cried in the courtroom's gallery, and one wiped her face with a crumpled piece of paper. Mr. Blankenship, however, was also defiant and told Judge Berger, "It's important to me that everyone knows that I am not guilty of a crime." Judge Berger also ordered Mr. Blankenship, 66, to serve a year of supervised release and to pay a fine of $250,000, a sum well above what federal sentencing guidelines suggested, but she refused requests for restitution payments. The judge denied Mr. Blankenship's request to remain free pending an appeal; unless an appeals court intervenes, he will begin his term within months. Not long ago, it was virtually unthinkable that Mr. Blankenship, whom jurors acquitted of several felony charges, would ever stand before a judge for a sentencing in West Virginia. Mr. Blankenship acknowledged as much on Wednesday, when he said, "I never thought, by the way, that I would be thanking a probation officer because I never expected to have one." But after the explosion at Upper Big Branch on April 5, 2010, the authorities turned to a novel approach to prosecute Mr. Blankenship, who possessed deep knowledge of his mines, recorded many telephone conversations with subordinates and received production reports every 30 minutes. Throughout a lengthy, complex trial, government officials portrayed Mr. Blankenship as, in effect, the kingpin of a criminal enterprise, and one with a stubborn focus on Massey's financial standing. His demands, prosecutors argued, contributed to an unspoken conspiracy that employees were to ignore safety standards and practices if they threatened profits. "He knew that following the safety laws costs money," Steven R. Ruby, an assistant United States attorney, said at Wednesday's hearing. "What could be more serious than a crime that risks human life?" Mr. Ruby, who urged Judge Berger to order a one-year sentence, argued that a lighter penalty "would signal that committing mine safety crimes might be a good gamble for a C.E.O." A lawyer for Mr. Blankenship said that the government had exaggerated Mr. Blankenship's behavior, in part to bolster the political fortunes of R. Booth Goodwin II, the United States attorney who oversaw the case. (Mr. Goodwin, who attended the sentencing hearing, resigned soon after the trial ended and is now a Democratic candidate for governor.) He has said that his political ambitions played no role in the case. The lead defense lawyer, William W. Taylor III, said that the government had advanced a "simplistic theory" of criminal culpability and had essentially argued that Judge Berger "should punish this man as if the jury convicted him of being a homicidal monster." "The worst that can be said is that Mr. Blankenship knew about the violations and, in the government's view, that he didn't do enough to prevent them," said Mr. Taylor, who had sought a sentence of a fine and probation. "The one thing you cannot conclude is that Don Blankenship was not interested in, and didn't care about, the safety of his miners." After the hearing, another of Mr. Blankenship's lawyers, Eric R. Delinsky, said outside the courthouse, "We won most of the case before, and we're going to win the rest of it on appeal." For the Justice Department, which opened its investigation into Massey's dealings a day after the catastrophe at Upper Big Branch, the Blankenship case carried a mixed result, particularly because prosecutors failed to convince jurors that Mr. Blankenship was guilty of crimes that carried greater penalties. But they also won a significant verdict. The trouble for the government, legal specialists said, was that few executives manage the day-to-day details of their companies as closely as Mr. Blankenship, and his leadership style made it difficult to know whether the Justice Department would be able to replicate its success, limited as it was, in future cases. "The Justice Department will be emboldened in the sense that it's a successful prosecution, and successful prosecutions always embolden prosecutors," said David M. Uhlmann, a law professor at the University of Michigan and a former chief of the Justice Department's environmental crimes section. "But there are not likely to be a lot of cases where senior executives were involved to the degree that Don Blankenship was in the day-to-day running of the company." Although the trial, and the maximum sentence that Mr. Blankenship faced, brought new attention to mine safety laws, Congress has demonstrated little interest in imposing tougher penalties. Outside the courthouse on Wednesday, some relatives of Upper Big Branch miners vowed that they would press, here and in Washington, for more stringent safety standards. "It shouldn't be a misdemeanor," said Gary Quarles, whose son, Gary Wayne Quarles, was among those who died in the explosion. "It should have been a felony." Some family members, including Mr. Quarles, found a measure of satisfaction in the sentence. "There is some peace to know that he is going to serve some time," said Shirley Whitt, whose brother, Howard D. Payne, died at Upper Big Branch. "Maybe that will give him an opportunity to reflect on the kind of person he's been over the years." Others remained vocally angry at Mr. Blankenship. As he spoke to reporters, when he again denied wrongdoing, and later walked to a minivan, men shouted at him. "You don't miss your kids like we miss ours," one man yelled. "You don't," someone screamed, "even know their names!"